Computers and Software life expectancy is very short and technology changes rapidly, is your business up with the times? Windows XP has had a great run and has outlasted many Microsoft systems released over the years (Windows Vista) and continues to be one of the most popular computer operating systems ever released, but everything has a lifecycle and all good things must come to an end. A computer’s lifecycle begins when a product is released and ends when it’s no longer supported or sold. Knowing and understanding key dates in the technology lifecycle helps business make informed decisions about when to replace aging IT solutions with newer, more efficient technology solutions. Earlier this year, Microsoft announced the end of the Windows XP and Office 2003. As of April 8, 2014 Microsoft is discontinuing support for these leading products. Is your business style relying on Microsoft Windows XP? Has your current IT provider spoken to you about making the change to Windows 7, Windows 8 and Microsoft Office 2010? It is the time to upgrade your aging Windows XP and Office 2003 to Windows 7 or Windows 8 and Microsoft Office 2010. Naturally, along with new operating systems and productivity suites comes the need for more robust, powerful hardware to run it efficiently. You could be saying to yourself, upgrading is nice, but I’m not sure if my business can afford it this year. As your trusted IT service company, we know that many businesses have a number of Windows XP machines still in operation. Did you know that there are tax advantages by purchasing these new machines by the end of 2012? 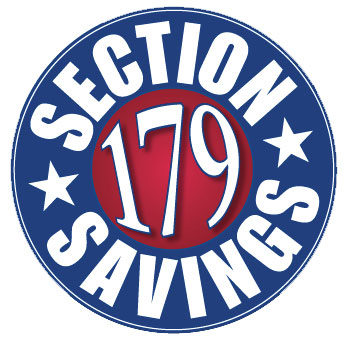 Business can utilize Section 179 deduction to help offset the costs related to new technology purchases. Don’t wait until next year to buy the new computer systems that your business needs now! Call our team of Microsoft Professionals today and start using the latest technology today.